Despite the fact that the number of SEC registered investment advisers has risen by more than 15 percent and assets under management by 40 percent, a 2017 hiring freeze has triggered an overall 5 percent decline in SEC staff. According to the SEC’s Office of Compliance Inspectors and Examinations (OCIE), the decline in SEC staff is significant for RIAs because it is estimated that the SEC has only one staff member per 20 investment advisers. This figure is troublesome given the fact that the explosive growth in the number of registered investment advisers likely will increase this gap in oversight. Moreover, the SEC’s National Examination program is designed to protect investors by determining whether money managers handling investor funds are complying with SEC rules. Currently, nearly 35 percent of RIAs never have been examined by the SEC’s National Examination program, and this percentage likely will increase as the number of RIAs in the industry continues to grow. In order to tackle this issue, the SEC is requesting that Congress approve the addition of 24 OCIE positions for 2019. 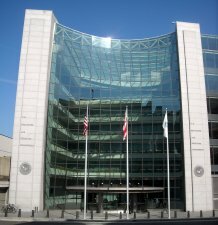 That will restore staffing shortages, enhance examination coverage of investment advisers, focus on critical risks impacting market participants, address new responsibilities and implement other program improvements, according to the SEC.